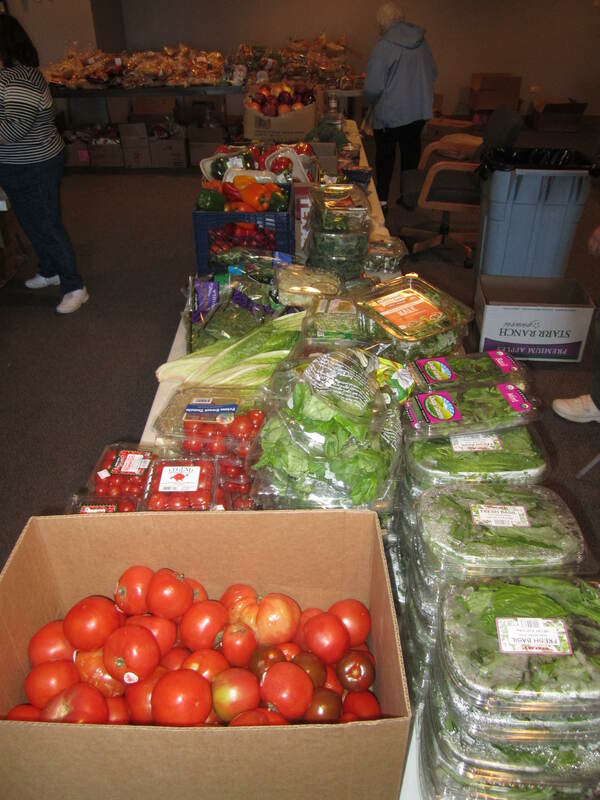 New and registered clients may select food for their household during Friday distribution from 1:00-4:00 p.m. Clients on site at 1:00 p.m. will be assigned a random number to determine the order they will be called to the check in desk to start their food selection. There is no reason to come earlier than 1:00 p.m. All clients present at 1:00 p.m. receive their random numbers at that time. Clients arriving after 1:00 p.m. will be assigned higher numbers than those in the 1:00 p.m. group. Each household representative presents identification to check-in and then is assisted with choosing from available protein, dairy, carbohydrate, produce and non-food items. Clients are required to bring bags to carry their food. The pantry proudly serves a diverse community. The pantry is wheelchair accessible and assistance is available to help differently-able visitors. Volunteers are typically available to provide Spanish and Russian language assistance.